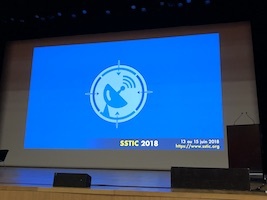 I’m back in the beautiful city of Rennes, France to attend my second edition of the SSTIC. My first one was a very good experience (you can find my previous wrap-up’s on this blog – day 1, day 2, day 3) and this one was even more interesting because the organizers invited me to participate to the review and selection of the presentations. The conference moved to a new location to be able to accept the 800 attendees, quite challenging! As usual, the first day started with a keynote which was assigned to Thomas Dullien aka Halvar Flake. The topic was “Closed, heterogeneous platforms and the (defensive) reverse engineers dilemma”. Thomas is a reverse engineer for years and he decided to have a look back at twenty years of reverse engineering. In 2010, this topic was already covered in a blog post and, perhaps, it’s time to have another look. What are the progress? Thomas reviewed today’s challenges, some interesting changes and the future (how computing is changing and the impacts in reverse engineering tasks). Thomas’s feeling is that we have many tools available today (Frida, Radare, Angr, BinNavi, ….) which should be helpful but it’s not the case. Getting debugging live and traces from devices like mobile devices is a pain (closed platform) and there is a clear lack of reliable library to retrieve enough amount of data. Also, the “debugability” is reduced due to more and more security controls in place (there is clearly a false sense of security: “It’s not because your device is not debuggable that it is safe!” said Thomas. Disabling the JTAG on a router PCB will not make it more secure. There is also a “left shift” in the development process to try to reduce the time to market (software is developed on hardware not completely ready). Another fact? The poor development practices of most reverse engineers. Take as example a quick Python script written to fix a problem at a time ‘x’. Often, the same script is still used months or years later without proper development guidelines. Some tools are also developed as support for a research or a presentation but does not work properly in real-life cases. For Thomas, the future will still change with more changes in technologies than in the last 20 years, the cloud will bring not only “closed source” tools but also “closed binary” and infrastructures will become heterogeneous. Very nice keynote and Thomas did not hesitate to throw a stone into the water! After a first coffee break, Alexandre Gazet and Fabien Perigaud presented a research about HP iLO interfaces: “Subverting your server through its BMC: the HPE iLO4 case”. After a brief introduction of the product and what it does (basically: to allow an out-of-band control/monitoring of an HP server), a first demo was presented based on their previous research. Dumping the kernel memory of the server, implement a shellcode and become root in the Linux server. Win! Their research generated the CVE-2017-12542 and a patch is available for a while (it was a classic buffer overflow). But does it mean that iLO is a safe product now? They came back with a new research to demonstrate that no, it’s not secure yet. Even if HP did a good job to fix the previous issue, they still lack some controls. Alexandre & Fabien explained how the firmware upgrade process fails to validate the signature and can be abused to perform malicious activities, again! The goal was to implement a backdoor in the Linux server running on the HP server controlled by the compromized iLO interface. They release a set of tools to check your iLO interface but the recommendation remains the same: to patch and do not deploy iLO interfaces in the wild. The next talk was about “T-Brop” or “Taint-Based Return Oriented Programming” presented by Colas Le Guernic & Francois Khourbiga. A very difficult topic for me. They reviewed what it “ROP” (Return Oriented Programming) and described the two existing techniques to detect possible ROP in a program: syntactic or symbolic with pro & con of both solutions. Then, they introduced their new approach called T-Brop which is a mix of the best of both solutions. Domains used in their organization and that can be used in the wrong way. In the second scenario, they spotted a department which developed a web application hosted by a 3rd party company and using Let’s Encrypt. This is not compliant with their internal rules. Their tools have been release (here). Definitively a great talk because it does not require a lot of investment (time, money) and can greatly improve your visibility of potential issues (ex: detecting phishing attacks before they are really started). Then, they explained how video signals work and what are the VGA, DVI & HDMI standards (FYI, HDMI is like DVI but with a new type of connector). To solve the TEMPEST issues, it’s easy as used properly shielded cables. They demonstrated different cables, good and bad. Keep in mind: low-cost cables are usually very bad (not a surprise). To make the demo, they used the software called TempestSDR. Also, for sensitive computers, use VGA cables instead of HDMI, they leak less data! They explained how to protect against this, like asking the user to approve the installation of an app or access to this or this resources but no easy to implement in a “TV” used by no technical people. Another great talk! Think about this when you will see a TV connected in a meeting room. 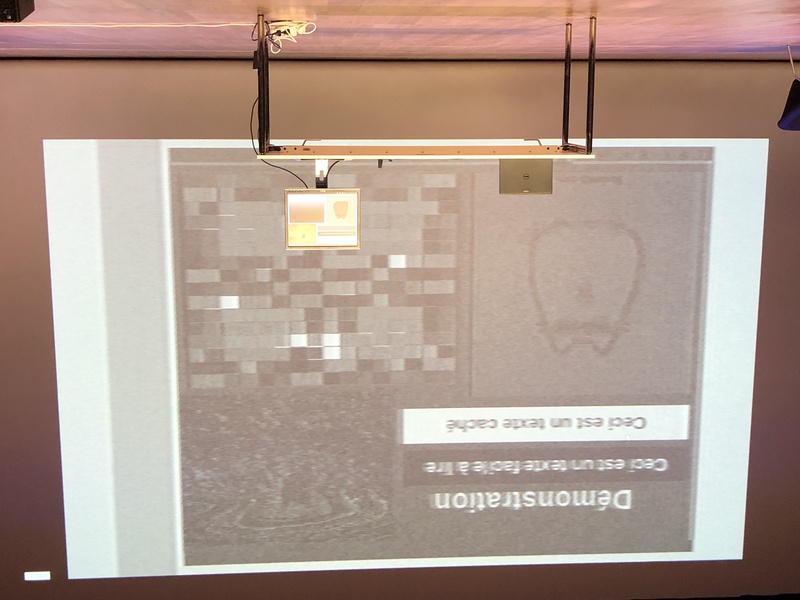 The next talk was the demonstration of a complete pwnage of a SmartPlug (again, a “smart” device) that can be controlled via a WiFi connection: “Three vulns, one plug” by Gwenn Feunteun, Olivier Dubasque and Yves Duchesne. It started with a mention on the manufacturer website. When you read something like “we are using top-crypto algorithm…“, this is a good sign of failure. Indeed. They bought an adapter and started to analyze its behaviour. The first issue was to understand how the device was able to “automatically” configure the WiFi interface via a mobile phone. By doing a simple MitM attack, they checked the traffic between the smartphone and the SmartPlug. They discovered that the WiFi key was broadcasted using a … Caesar cipher (of 120)! The second vulnerability was found in the WiFi chipset that implements a backdoor via an open UDP port. They discovered also that WPS was available but not used. For the fun, they decided to implement it using an Arduino 🙂 For the story, the same kind of WiFi chipset is also used in medical and industrial devices… Just one remark about the talk: it looks that the manufacturer of the SmartPlug was never contacted to report the vulnerabilities found… sad! Then, Erwan Béguin came to present the Escape Room they developed at his school. The Escape Room focusses on security and awareness. It is for non-tech people. When I read the abstract, I had a strange feeling about the talk but it was nice and explained how people reacted and some finding about their behaviours when they are working in groups. Example: in a group, if the “leader” gives his/her approval, people will follow and perform unsafe actions like inserting a malicious USB device in a laptop. 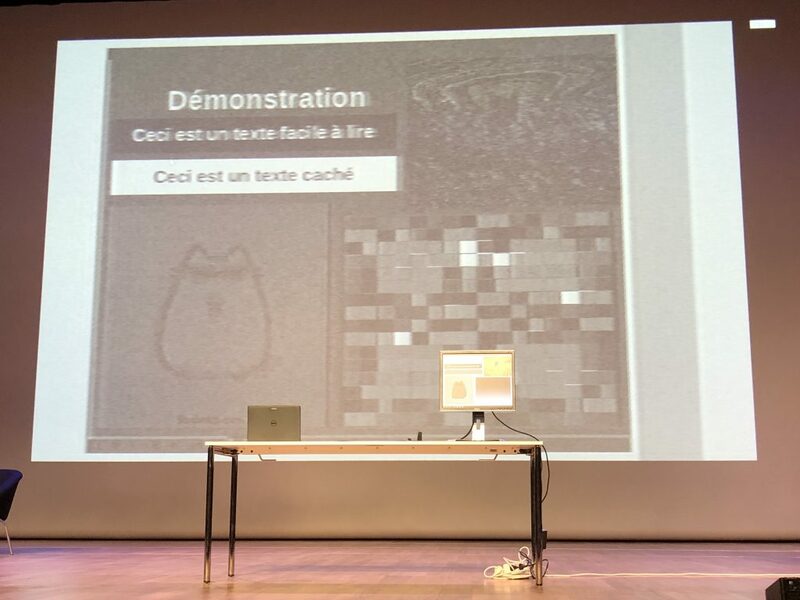 After the afternoon coffee break, Damien Cauquil presented a cool talk about hacking PCB’s: “Du PCB à l’exploit: étude de cas d’une serrure connectée Bluetooth Low Energy“. When you are facing some piece of hardware, they are different approaches: You can open the box, locate the JTAG, use baudrate.py, brute force the serial speed, get a shell, root access. Completed! Damien does not like this approach and prefers to work in a more strict way but which can be helpful in many cases. Sometimes, just be inspecting the PCB, you can deduct some features or missing controls. At the moment, they are two frameworks to address the security of IoT devices: the OWASP IoT project and the one from Rapid7. In the second phase, Damien applied his technique to a real device (a smart door lock). Congrats to him for finishing the presentation in a hurry due to the video problems! That’s all for today! See you tomorrow for another wrap-up!